Keep up to date on research, innovations and solutions to global sustainability challenges. Join the conversation and help us spread the word. Named 3rd Top Climate Think Tank in North America for 2016, START runs innovative programs that invest in region- and county-driven knowledge and research to tackle global challenges. Now more than ever, we need you help to continue building a sustainable global future through science. 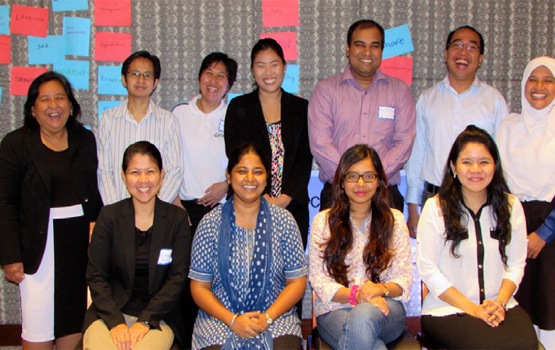 Thirteen fellows from seven countries took part in the 2014-2015 round of the Pan-Asian Risk Reduction Program. The Program offers unique research, educational and networking opportunity to Asian researchers and practitioners in the field of disaster risk reduction. "The PARR fellowship experience enhanced my skills and built my capacity to be an outstanding scientist, especially in bridging science into practice to build safer and resilient communities."